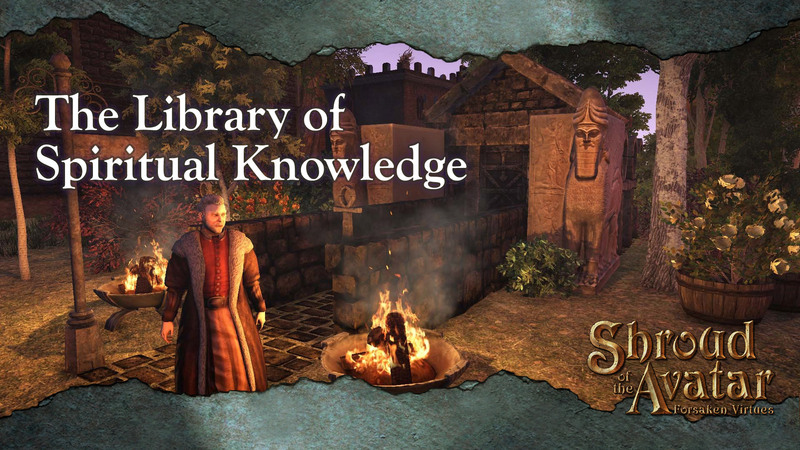 By Therdan Redwauld: “The Library of Spiritual Knowledge in Diamond Fields was created to provide a place to showcase player created content. The tremendous work which individuals undertake in building actively useful resources, great fiction, and quality music, continues to amaze me. 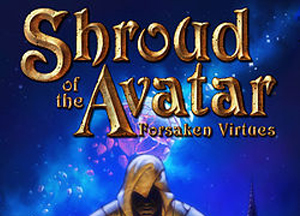 I really wanted to build something which did those efforts justice and provide a great source of game knowledge and entertainment to everyone who plays Shroud of the Avatar. The library provides players a significant volume of material covering everything from guides to fiction to musical scores. I also wanted to provide a number of ways people can get involved in evolving and building out the library content, and also naturally profit from their efforts and contribution. 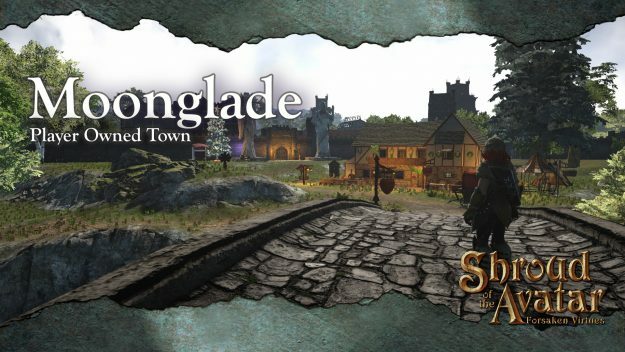 Located in the North Paladis region of Novia, the Metropolis of Moonglade was founded as a village alongside the more well known Yew town (which is getting a makeover for Release 50!). Now these two towns share heavy traffic as goods are traded on a daily basis. Moonglade has a lot to offer, so we sent our very own community manager, Berek, to check it out. 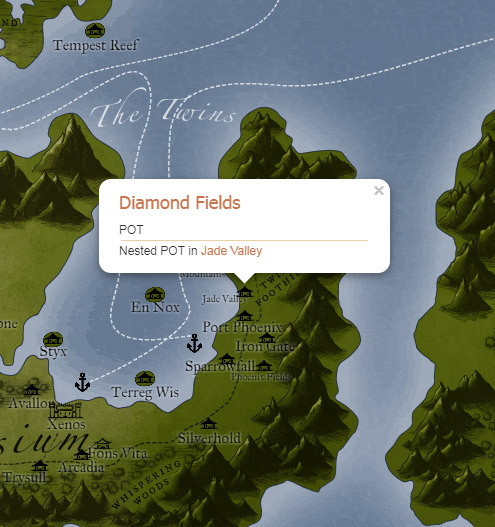 Almost forgotten to time, the locals recount tales of Yew long past in which humans, not elves, lived in what we now call North Paladis. 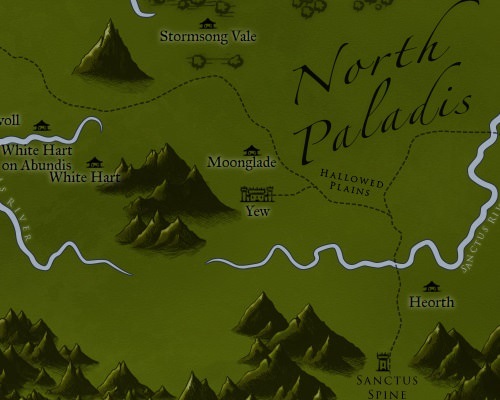 Tall, densely packed trees encircle Moonglade, but the town is not the first to grace the forest glade. The earliest recorded settlement was built near the ruins of an ancient monastic citadel, the nature of which has likely been lost to the cataclysm. The ruins can still be explored not far from the city center. Sing along with us! 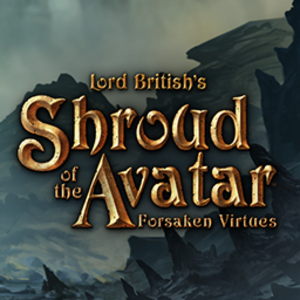 Just like last year’s contest, this one is simple and fun – for the next couple of weeks, from December 15 to January 2, 2017, we want to see what songs, poems, and other holiday stories you can come up with that are related to Shroud of the Avatar. 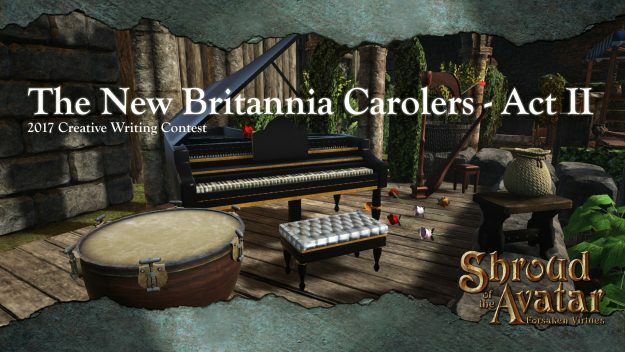 Each winner will be awarded $25 worth of in-game COTOs, as well as the 2016 Winter Holiday Soundtrack – Wax Cylinders – perfect for replaying holiday tunes well into the 2018 new year. 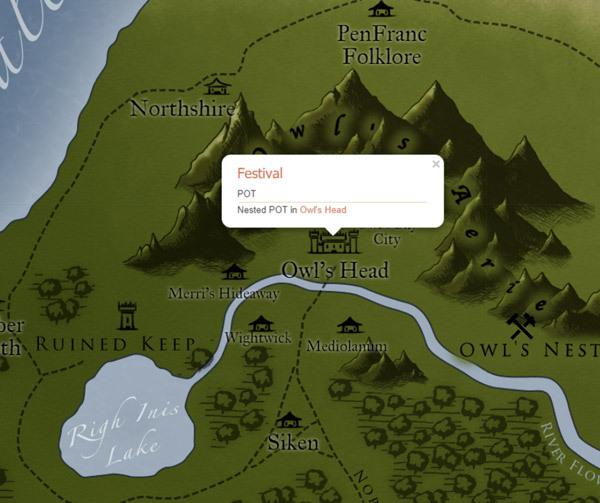 Located as a Nested POT in Owl’s Head, Festival was founded as a village alongside the more well known Owl’s Head town. Now these two towns share heavy traffic as goods are traded on a daily basis. 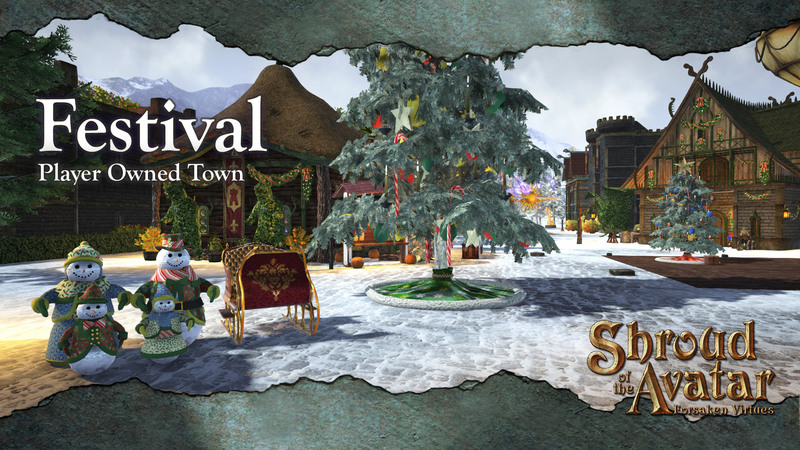 Festival has that frosty holiday cheer to it, so now is a perfect time to visit! 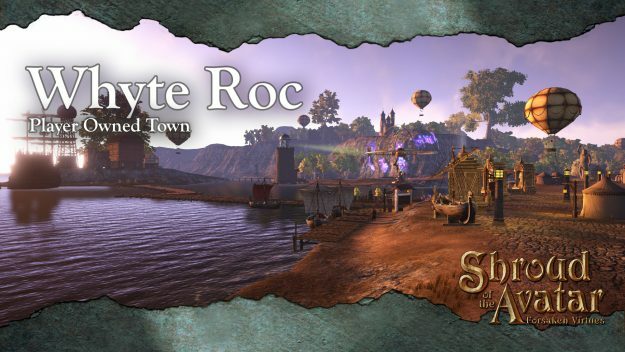 Located in the region of Quel, near the Etceter Crag Mines, Whyte Roc was founded in the year 493PC as a small crossroads village. Since it’s founding, the town has since grown into a metropolis that overlooks the mighty glistening Bay of Storms. 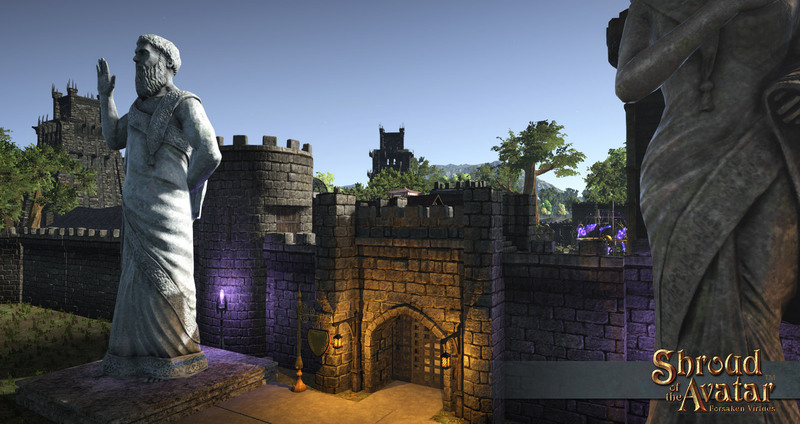 The town has some neighboring allies, which it relies on for commerce. 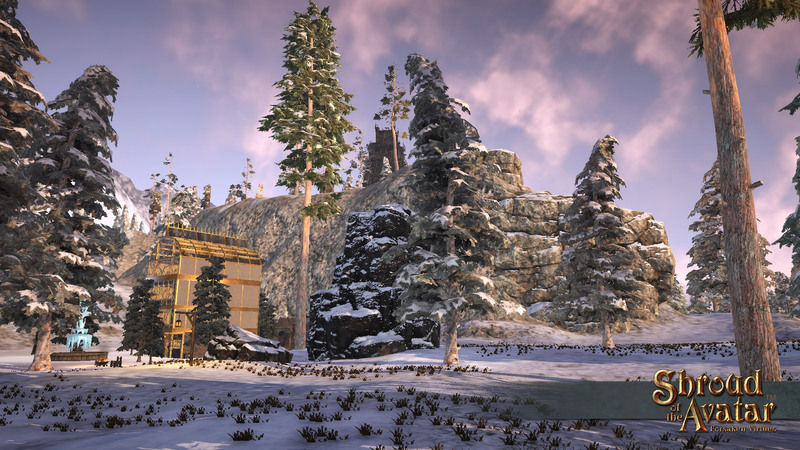 Many of White Roc’s inhabitants spend their days working the mines, located just a short trip along the Crag Foothills. The warriors, on the other hand, spend their time warring against the undead and elves that infest the region. 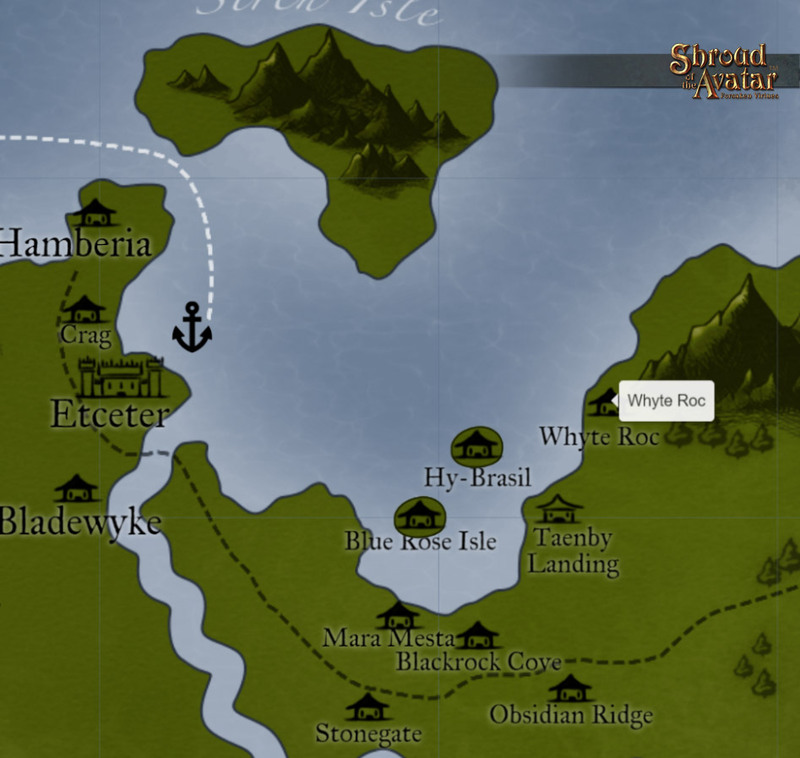 It is a dangerous place to be traveling in the undead and elven regions, so when visiting White Roc, be sure to avoid those areas on your way to our magnificent town! 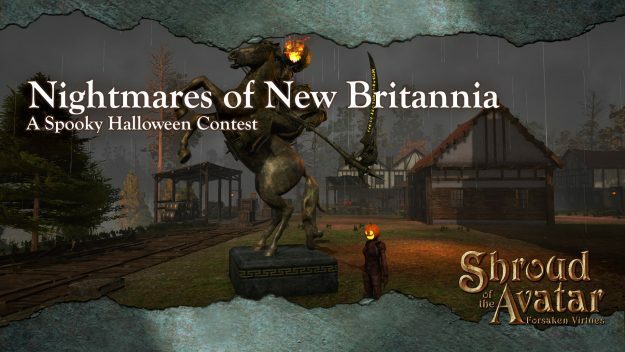 Nightmares of New Britannia – Halloween Contest Winners! Congrats to these following winners of the Halloween Decoration and Costume Contest!! 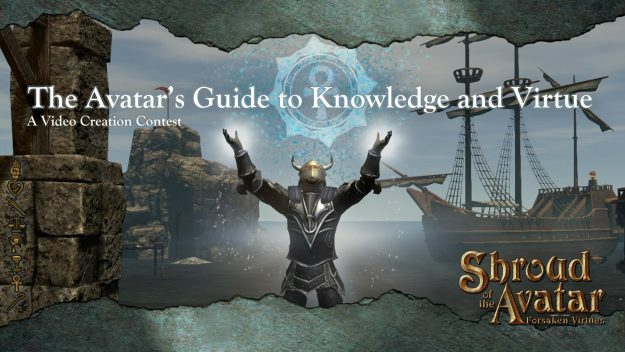 Property Top Winners receive 500 COTOs, Runnerups receive 100 COTOs, and Costume Entries Top Winners receive 100 COTOs with Runnerups reciving 50 COTOs. Visit the forums to view all the entries! 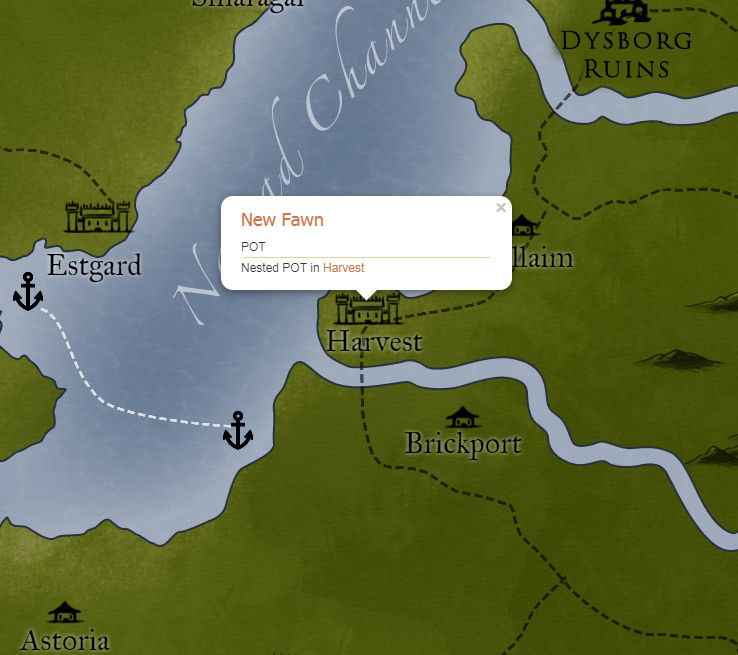 In my latest travels amidst the towns and peoples of New Britannia, chance would have it that my path lead to Mynwent. Surely, this was an opportune time for me to resupply before braving the dangers of Nightshade Pass, but as misfortune would have it, my attempt at respite inadvertently exposed me to an even greater danger. At first glance, Mynwent was an inviting town, but upon closer inspection my realizations horrified me. 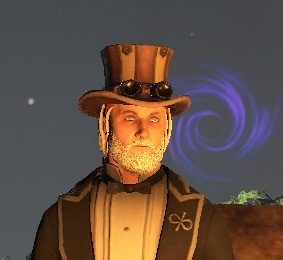 One might think me mad for saying this, but the town of Mynment has a dark history, and deep within its borders lies a house, so haunted, that I barely escaped alive to tell you this tale, oh Outlanders! So take caution upon your travels to Mynwent, and heed my words! 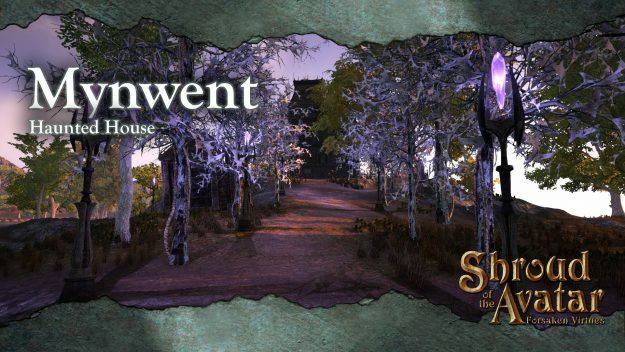 Make resupply in Etan Glen, perhaps Britanny, for the horrors you shall face in Mynwent are not worth the bobbles and trinkets you might procure, and likely, anything you might acquire from this forsaken town is cursed by the depraved spirits still lingering within. 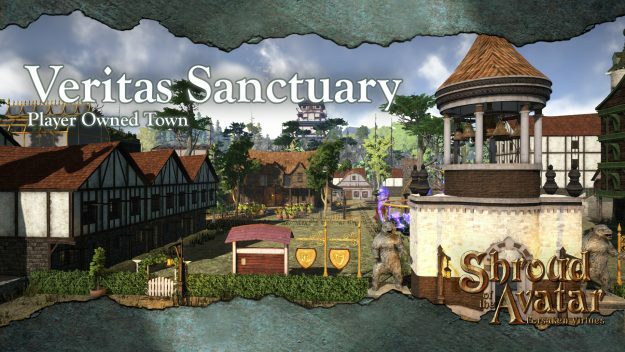 We are happy to announce a new town on the Path of Truth, Veritas Sanctuary. 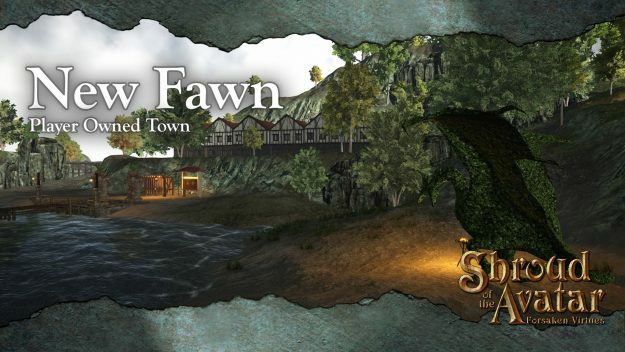 The town, released in R45 and located in the Longfall region of Novia adjacent to Blood River and Blood River Outskirts, is devoted to the search for Truth in a forsaken land. 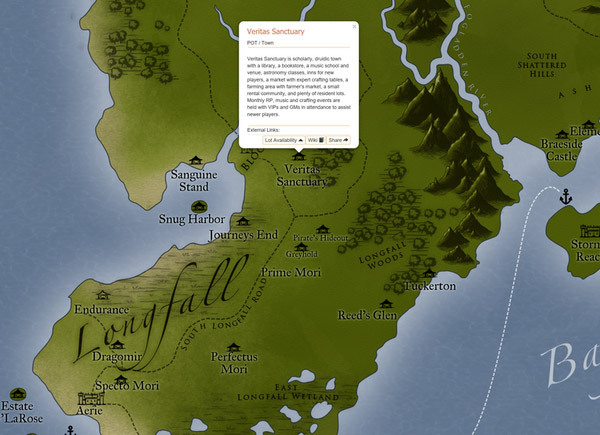 Veritas Sanctuary has a rich history dating back prior to the Obsidians’ rise to power when a band of humans and elves allied to escape their former masters from the north and find sanctuary and a new life in the Longfall area. 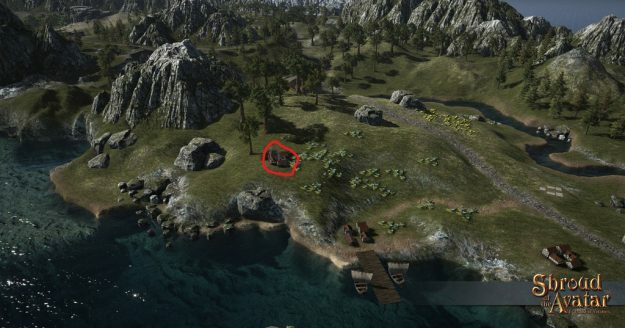 Ruins of the ancient settlement still exist in town and can be seen in the northern and southern residential areas. In fact, an ancient wizard’s tower has been restored and is available for rent for those who dare to tempt the ancient magic that still lives there.